KAMPALA- Water resources of a country constitute one of its vital assets that significantly contribute to the socio-economic development and poverty eradication. And goal six of the UN General Assembly on new Sustainable Development Goals (SDGs) adopted in September 2015, requires countries to “ensure availability and sustainable management of water and sanitation for all” by 2030. According to the commissioner for water at the Ministry of Water and environment Eng. Richard Cong, this goal is premised on the fact that water scarcity or availability determines the quality of life. While speaking at the release of a new study report titled; The Impacts of Climate Change on food security and Livelihoods in Karamoja sub-region on March 20 at Sheraton Hotel, Mr Cong said Uganda derives this priceless resource either by surface water, under-river flow, groundwater, frozen water, especially in Rwenzori areas, or desalination done by National Water and Sewerage Corporation. 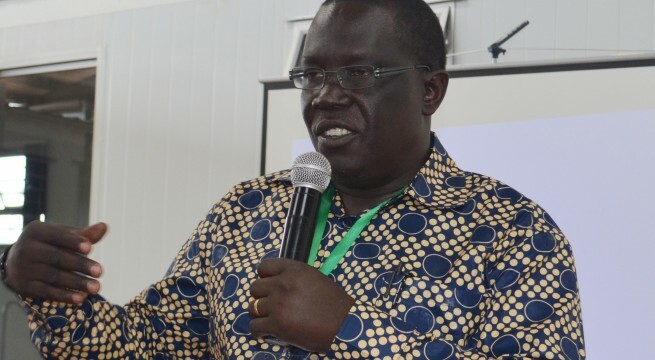 Eng Cong said that Uganda has been losing 34 percent of its water to evaporation and that if no efforts are made towards protecting the water sources, Uganda will be water stressed by 2025. “Despite the fact that it rains in most parts of the country, 80 percent of Uganda has a rainfall deficit due to Climate Change and evaporation, there is need to protect the natural water sources like rivers, wetlands, lakes, streams, all groundwater sources,” said Eng Cong. According to a 2015 report by Uganda Bureau of Statistics (Ubos), Uganda has 4500 square kilometres of wetlands cover (1.9 percent of Uganda’s total area) and a legion of other lakes and rivers, including Lake Victoria, George, Edward, Albert, and Kyoga, along with the River Nile, the country is steadily harnessing the water for economic development. Dr Tom Okurut, the executive director National Environment Management Authority [Nema] said although safe drinking water seems to be increasing in the country according to the 2015 UBOS report [2015/16, water production was 93.8 million cubic metres compared to 87.3 million cubic metres produced in the 2012/13 representing an increment of 7.5 percent], there was an urgent need to protect the water sources. But according to UBOS report 2016/217 access to drinking water in urban areas has stagnated at 71% and adds that during the 2016/17FY, a total of 425,000 people had to be served just to maintain the access to safe water and that of these, 290,000 resulted from population growth in the urban councils that existed in 2016. Dr Okurut explained that the Ubos statistics also show that 65 percent of Ugandans can now access safe water for drinking. “In Uganda rainfall is the major source of water but this resource is unevenly distributed in both time and space and is recently experiencing variability that threatens the distribution of resources and water availability in Uganda due to wetland degradation,” said Dr Okurut. He named other the sources of water in Uganda as surface water (streams, rivers, and lakes) or groundwater [Aquifer, a natural underground layer often of sand or gravel that contains water, this can serve as sources of drinking water, referred to as source water which provides water for public drinking water supplies and private water wells. 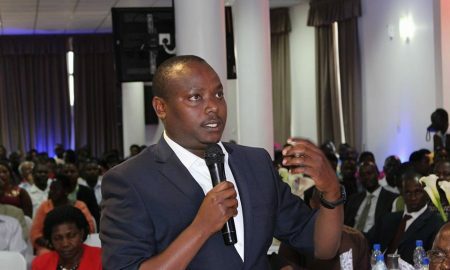 The minister of state for water Mr Ronald Kibuule says although Public utilities treat most water used for public drinking, protecting source water from contamination can reduce treatment costs. “And this protection of source water also reduces risks to public health from exposures to contaminated water so our target as government is to ensure that everyone takes clean water whether you are in the village or urban setting,” said Mr Kibuule. He said although the spatial distribution of rainfall has resulted into a network of great rivers and lakes that possess big potential for development in Uganda, these resources are being developed and depleted at a fast rate, a situation that requires people to be taught how to protect water resources. The Sironko district Water Engineer Mr Andrew Wasukira said of all the renewable resources, water has a unique place because it is essential in sustaining all forms of life, food production, promoting economic development and for general wellbeing. “Water is impossible to substitute for most of its uses, difficult to de-pollute, expensive to transport but a manageable natural resource which we need to protect,” said Eng Wasukira. Eng Wasukira says the agricultural sector is slowly but increasing demand for water for irrigation and that without it, food production will fail. He said despite invaluable contribution water makes to Uganda’s economic development, several water sources are experiencing disruptions from human-made activities like reclaiming wetland, settling around the rivers and lakes buffer zones and cutting down trees which lead to formation of rainfall to refill the water sources. Mr Paul Mafabi, the director of environment affairs, Ministry of Water and Environment says water is at the heart of every adaptation to climate change and Ugandans should strive to jealously guard these water sources from pollution or even encroachment. “Encroachment on water resources is a threat to human health and wellbeing as well as the integrity of the ecosystems that requires urgent protection,” said Mr Mafabi. The minister of Water and environment Mr Sam Cheptoris recently announced a wetland restoration plan across the country and a national tree planting across the country but whether this will be affected is another debate. The government has also announced the National Development Plan II, which seeks to transform Ugandan society from a peasant to a modern and prosperous country within 30 years. Dr Abel Rwendeire, deputy chairman, National Planning Authority (NPA), says under the National Development Plan II, access and maintaining water sources has been given a top priority. Dr Rwendeire said the NDPII emphases the need to increase “sanitation and hygiene levels in rural and urban areas, functionality of water supply system, incorporating gender concerns and crosscutting issues, promoting catchment based integrated water resources management and implement water resources management reforms”. He, however, says attaining the above require everyone’s effective involvement and a well-coordinated financing mechanism. Why do we protect the water sources in Uganda? -Declining water quality…resulting into increasing use of unclean/unsafe water + high costs of water treatment before supply. -Relationship between condition of “source” and quantity +quality of water for use. -Sustainable Land Management: Increase level and reliability of household income from better farming and forestry practices.